Midlands-based engineering firm, adi Group, is sharing the knowledge it has gained since launching the UK’s first pre-apprenticeship scheme for 14-16 year olds, with the aim of encouraging other businesses to provide more opportunities for young people. The scheme, which launched in September 2016, involves 12 secondary school students attending adi Group’s Birmingham workshop for half a day each week. Running alongside their GCSE education, this course occupies 10% of the students’ overall curriculum time and will result in them receiving a formal qualification upon completion. 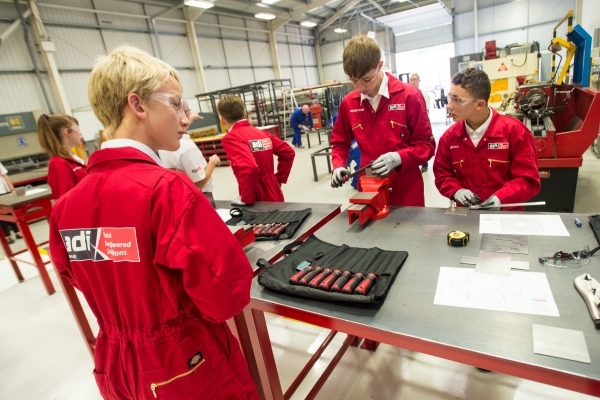 The Group also has a total of 14 students currently enrolled on its post-16 apprenticeship scheme. It’s important to see apprentices as an investment, not only for the future of your business, but for the industry as a whole. Further to this, skills shortages are problematic for employers in all sectors, with UK businesses losing out on opportunities due to a lack of trained staff. Taking on apprentices allows you to build a loyal workforce of people the necessary skills and remain competitive in your industry. We have found that apprentices tend to be eager to learn, motivated and more flexible. In fact, according to The National Apprenticeship Service, 88% of apprentice employers believe they lead to a more motivated and satisfied workforce, and 81% also said that they make their businesses more productive. A good apprenticeship scheme can be reflected in an enhanced reputation for the business within their industry and the local community. A recent study found UK consumers prefer to work with companies employing apprentices, business estimated to be worth £18billion. By partnering up with local school, North Bromsgrove High School and BITC, we have found that establishing such partnerships really helps to build ties with the local community. This also helps in providing a good source of pre-apprentice candidates, along with expert guidance on teaching structure. The adi Group pre-apprenticeship model is completely available, free of charge, for any employer or school that wishes to replicate an existing scheme which has proven to work, and work well. Implementation is straightforward, and any industry can benefit from encouraging the younger generations to try something new and explore the world of work. 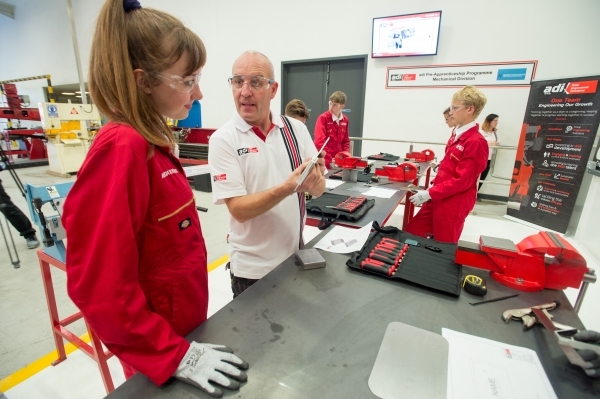 “Since launching the UK’s first engineering pre-apprenticeship scheme for 14-16 year olds in September 2016, adi Group has been at the forefront of revolutionising the future of STEM education in the UK and tackling the nationwide deficit in high-quality apprenticeships.2 Our aim is to use a multi-level network of customers, suppliers and partners, to reach thousands of children and inspire them to enter the work arena. “Last year, adi Group also joined the 5% Club. Designed to encourage UK businesses to employ the equivalent of five per cent of their workforce through apprenticeships, the 5% Club is supported by the Department of Business, Innovation and Skills, and is part of the government’s goal to create three million more apprenticeships by 2020. Having offered apprenticeships since it was founded in 1990, adi formalised its commitment to the cause with the launch of its Apprenticeship Academy in November 2014. For more information or to apply for an apprenticeship with adi, visit www.adiltd.co.uk/careers.